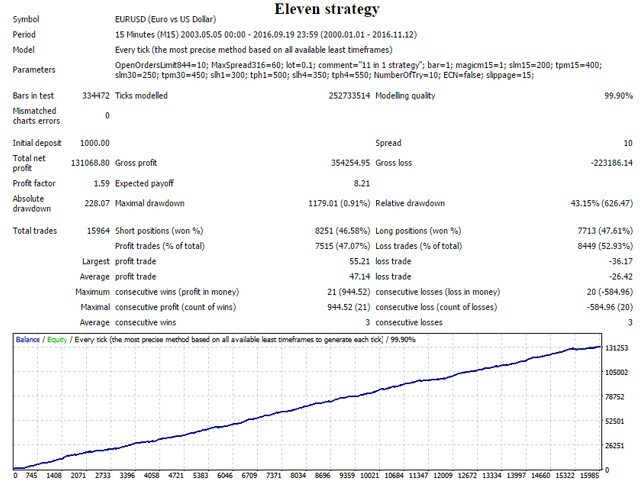 This Expert Advisor consists of 11 strategies, each running on 4 timeframes M15, M30, H1, H4. The EA uses standard MT4 indicators Bollinger Bands, CCI, RSI, RVI, Force Index, Moving Average, DeMarker, MACD, OsMA, Stochastic, WPR, Money Flow Index. The EA checks indicator values on the past or current bar (can be selected in the settings: 1 - past bar, 0 - current) and if they match, it opens an order. Deals are closed either by sl or tp. During backtesting the EA passed through all market conditions over the past 13 years. 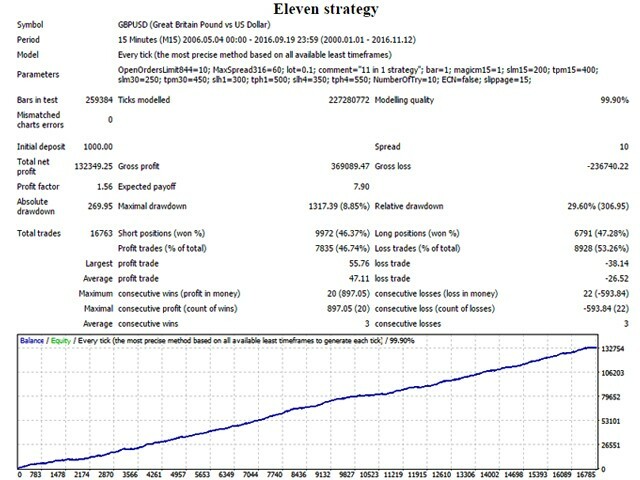 Configured pairs: EURUSD, GBPUSD, USDJPY, USDCAD, AUDUSD. 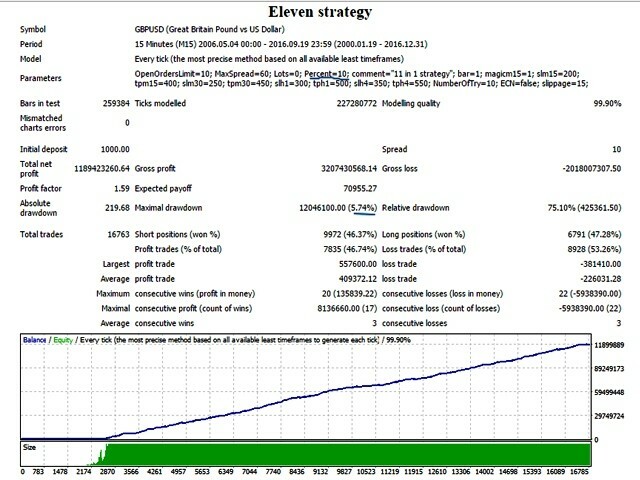 You can start trading 0.01 lot with the initial deposit of $200. pair - select settings for currency pairs: EURUSD, GBPUSD, USDJPY, USDCAD, AUDUSD. 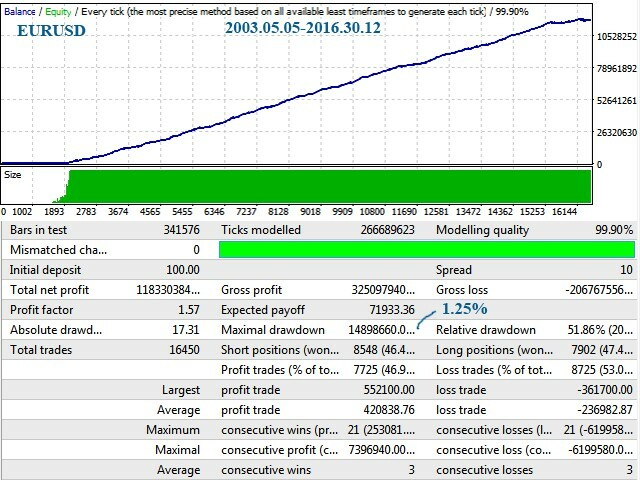 Backtest with 99% quality over 13 years. Loses, loses and loses. I will update this review at the end of the month. Update: Waste of time. 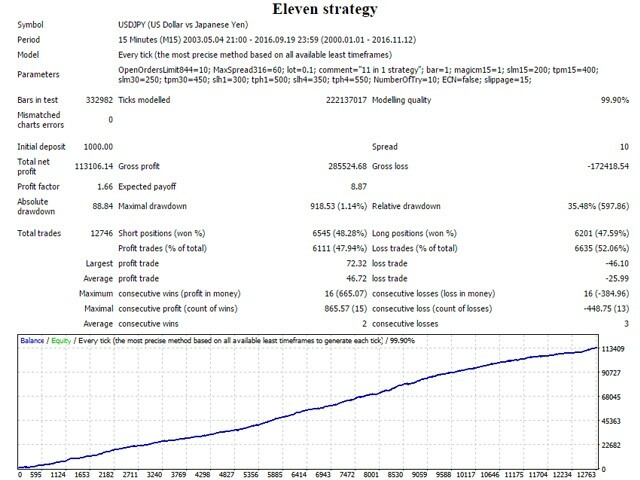 My profits started to be positive when I deactivated this bot as well as Seven Strategy. good seller,good ea with simple strategy. 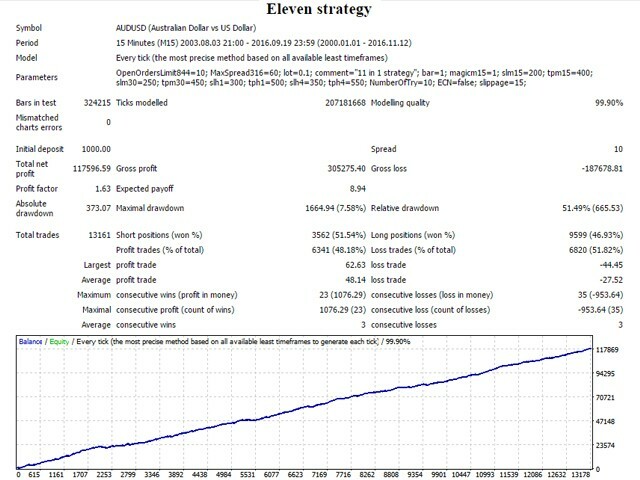 no grid, no martingale, no hedging. 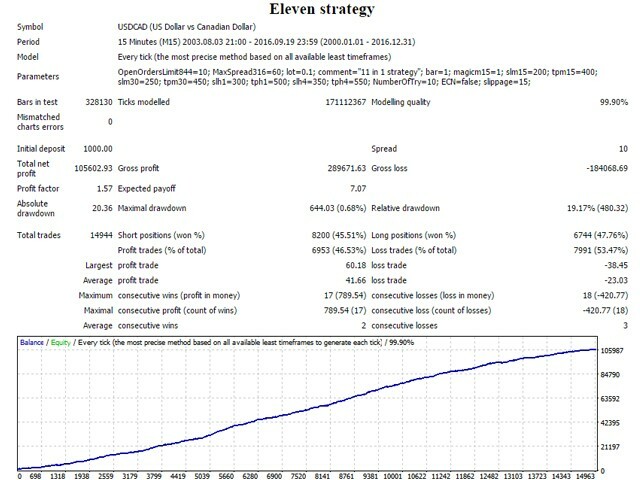 Great seller who produces systems which are reliable over a long period of time according to my backtests.